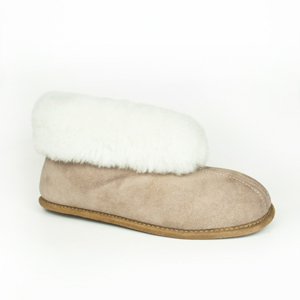 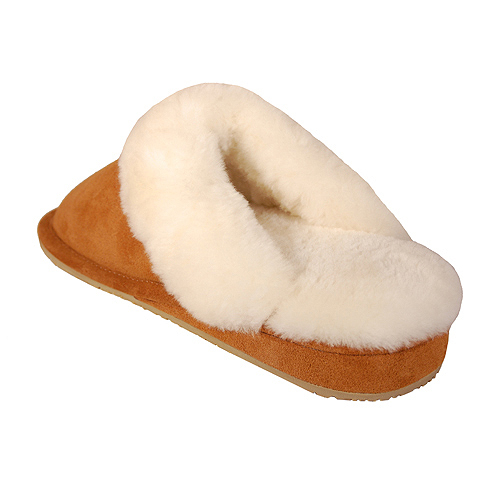 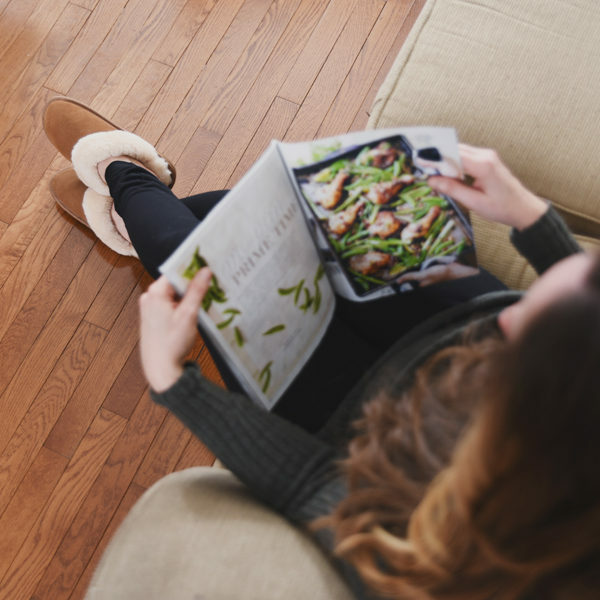 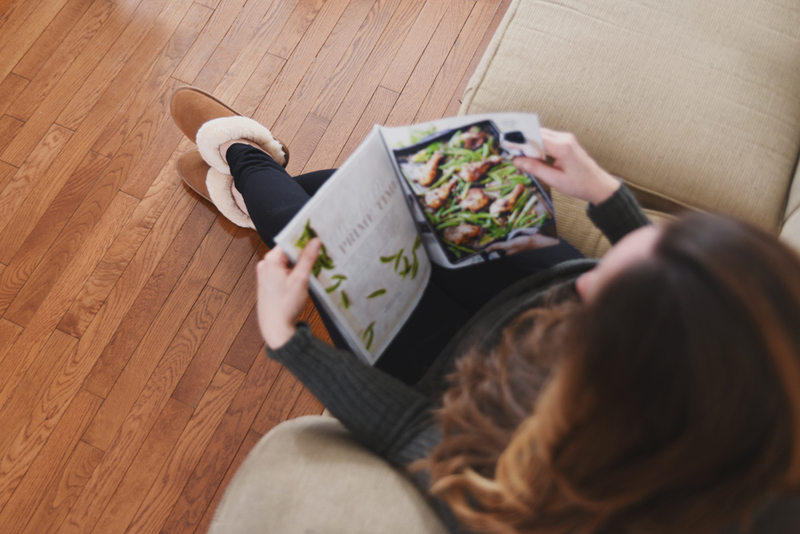 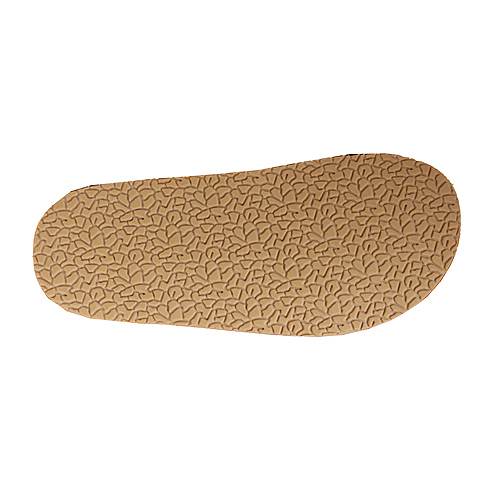 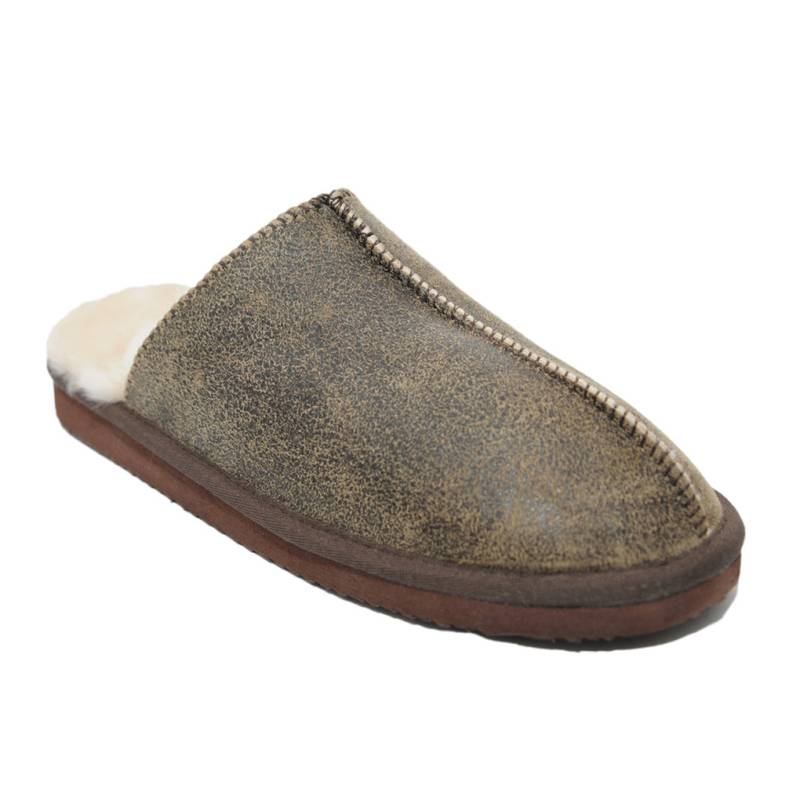 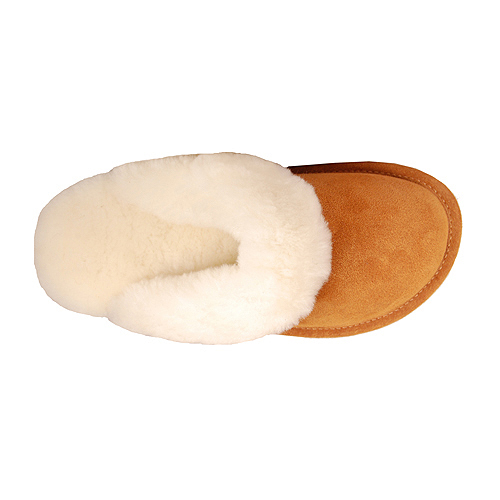 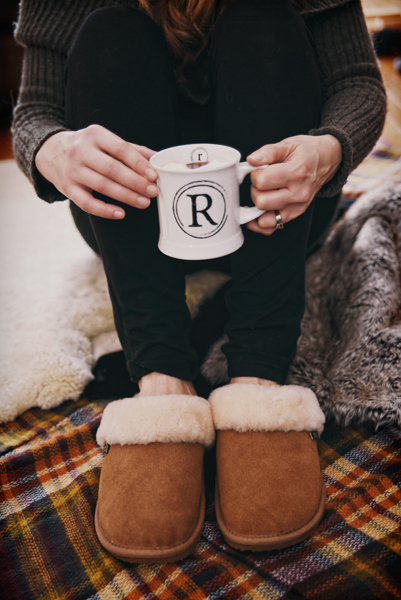 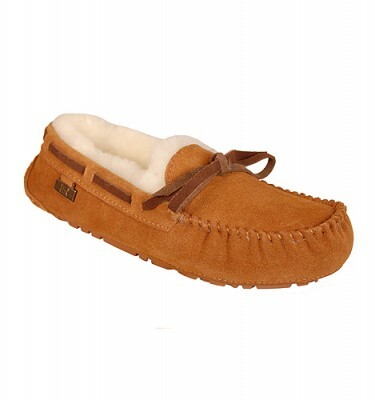 The Suzy is a classic scuff slipper that is lined entirely with plush genuine sheepskin. 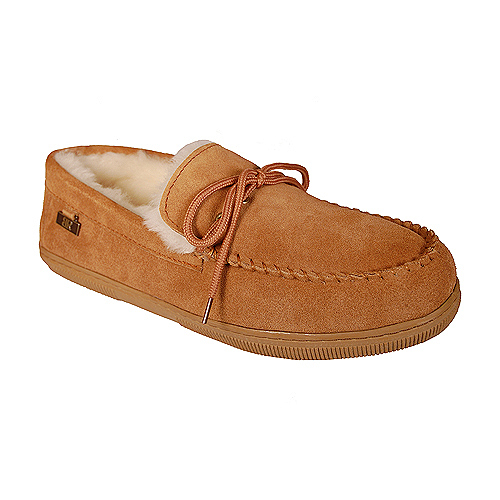 The outside is soft suede leather. 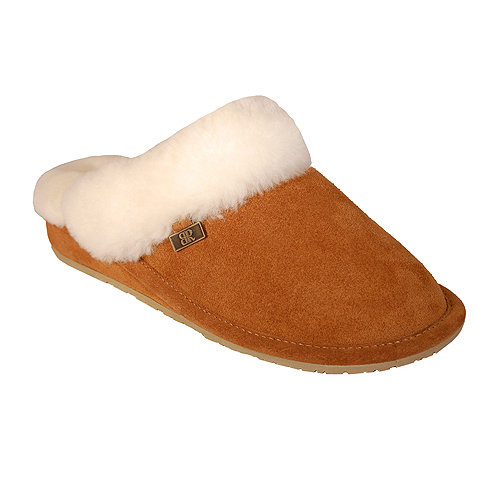 The thick sheepskin cuff locks in the warmth and the rubber sole lets you wear them indoors and out.